It seems as though the minute I landed in Philadelphia, it was Spring. The past few days have been unseasonably warm. 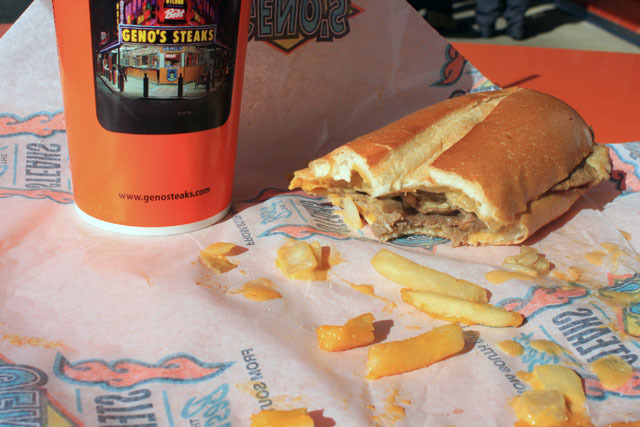 I ate a Geno’s cheese steak in 70+ degree weather! 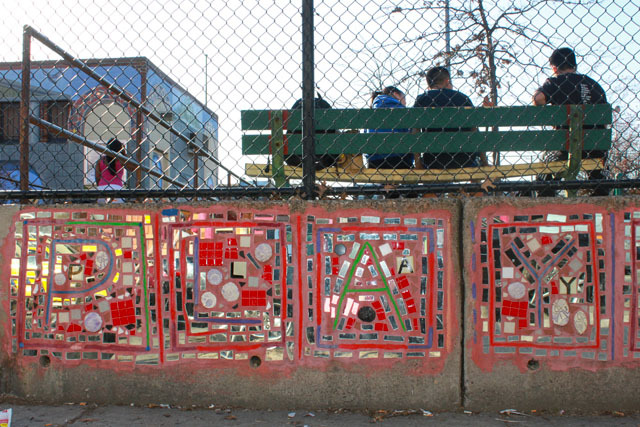 The outdoor basketball courts and city playgrounds were packed. 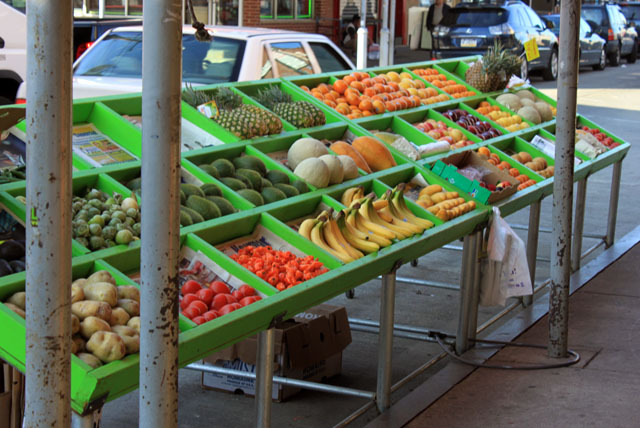 Fruit lined the narrow city streets of the Italian Market. On a conference break, I had Chocolate Peanut Butter Ripple ice cream in a pretzel cone. Pretzel cone, more on that later. 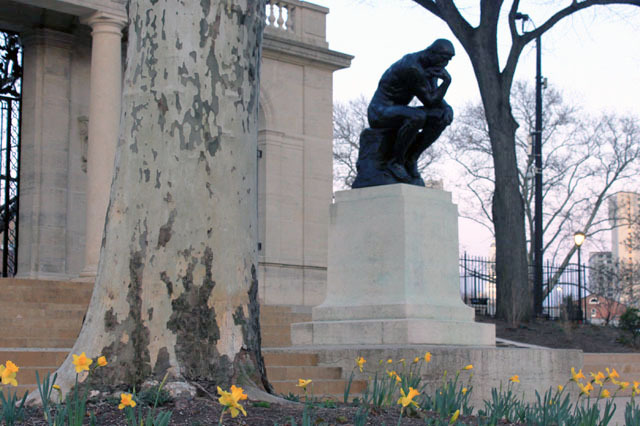 Spring bulbs were in bloom by Independence Hall, Rocky and “The Thinker.” All pleasant Philadelphia Spring surprises. Glad you’re having a good time! So cool. I used to live in Philly a few years back, and I remember the long lines at the Italian ice places when Spring was starting (free samples on the first day)! so neat. Italian Ice sounds awesome right now! wiggle a bit (for me) when you get to see em! Somebody needs to find a way to make a pretzel cone in their kitchen. Like, YOU. I’ll wiggle most of the day tomorrow for ya! They’ll think that’s what Midwesterners do – ha. it was soooo good. 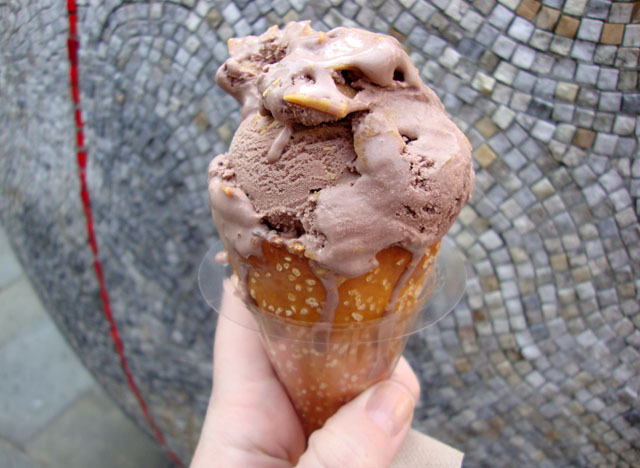 when the ice cream started melting, and that chocolatey peanut butter mixed with the baked pretzel salt – HELLO YUM. you must get one if you are ever In Philadelphia. i forgot to tell you to get water ice. 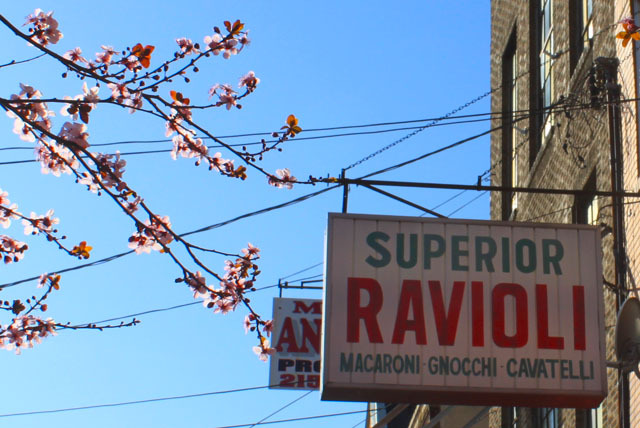 it’s the philly version of italian ice. oh well: next time you visit 🙂 twas great to see you!! next time, a longer visit 🙂 great to see you, too – happy springtime, lisa!